31 Jan Is Super Bowl Advertising a Bad Call? Whether you’re a football fan, have a serious case of FOMO or are just looking for some free food, odds are you watch the Super Bowl. Everybody watches. And for just over $5 million, your brand can have the attention of everyone in America. For big brands looking for a chance to make a splash, the Super Bowl is gold. It’s where brands capture the hearts and minds of millions of people who will watch their ad (theoretically) and ride the glorious wave of social media buzz as thousands tweet, tag and post about their ad (potentially). 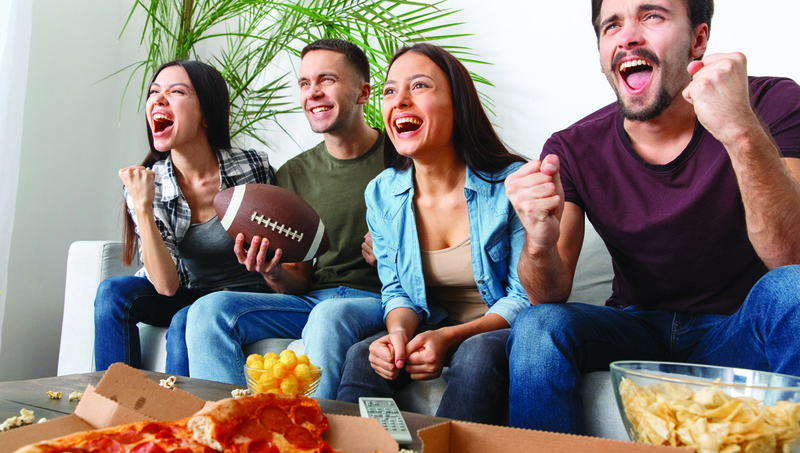 A study by market research company Fluent shows that an on-screen appearance can boost brand recognition for first-time Super Bowl advertisers by an average of 13%. FOR JUST OVER $5 MILLION, YOUR BRAND CAN HAVE THE ATTENTION OF EVERYONE IN AMERICA. That’s awesome! And maybe that’s what the Skittles, Coca-Cola’s and Nikes of the world care about, but most of us “normal folks” are interested in ROI. Of course, it’s impossible to accurately measure the long-term impact of media like TV, radio and print. But, generally speaking, what does a Super Bowl ad do for a company’s bottom line? Nada. Ad researchers estimate that the majority of Super Bowl commercials (80%) do NOT boost sales or purchase intent. In fact, surveys tell us that most viewers of Super Bowl commercials watch to be entertained or to be able to discuss it with friends. Only 6% are truly interested in learning about new brands. THE MAJORITY OF SUPER BOWL COMMERCIALS DO NOT BOOST SALES OR PURCHASE INTENT. When done well, these ads are a great awareness-builder because they can be attention-grabbing and buzz-worthy. But that buzz doesn’t necessarily translate into sales. Why not? After all, you have the eyes of America, right? Yes. And that’s the problem. For most brands, even the ones that can afford a Super Bowl commercial, “America” is not your customer. It’s Joe, a middle-aged lineman who works for a power company in a small, rural town and who spends all his free time renovating his house in the DIY fashion. Or it’s Selena, a 28-year old teacher who also works part-time as a waitress and uses her summer breaks to go on budget vacations all over the country. I’m talking about customer personas. It doesn’t matter how many people you reach if you’re not reaching the right people. Sure, if you’ve got EVERYONE’S attention, you’ll reach some of the right people. But you’re paying for everyone. IT DOESN’T MATTER HOW MANY PEOPLE YOU REACH IF YOU’RE NOT REACHING THE RIGHT PEOPLE. So, if you can’t afford to run a Super Bowl ad, don’t worry. Figure out who your audience is. Who needs your product or service? Who can afford it? Who would enjoy it? Then take advantage of all the highly-targeted media opportunities out there, like Google Search, Facebook, niche influencers and industry publications. You don’t need a Super Bowl budget to get big-league results. You just need a well-defined audience and a targeted media strategy. Let us know if we can help.